When entrepreneurs get organised, they mean business. After seven years of building, we are now ready for impact. The UnitedSucces Foundation is set up to empower and influence. Its goal is to support the UnitedSucces organisation and its members. Key to empowerment is the input of the members. As with any network, if members are not actively involved, nothing develops. The Foundation is designed as an organisation with a small board. It focuses on three main areas: 1. supporting individual member’s training and development, 2. Connectivity between members to develop and enhance impact, 3. Promoting and Supporting the United4U concept: the circles of influence for access to finance, innovation and environment, solidly grounded on leading values of trust, respect and serving the community. The Foundation is continuously looking for partnerships to obtain more exposure for member’s businesses, open new doors and create relevant quality contacts in different sectors. The possibilities for these exposures are based on the power of the COLLECTIVE. If members do not actively contribute, the Foundation will also have limited resources in finance, in manpower and in executing power. Therefore, the UnitedSucces Foundation is not just A Foundation, this is OUR Foundation. It is a vehicle of the collective, not of individuals. Building the circles of influence is putting thoughts into action, uniting for a powerful mechanism to realise and multiply our impact. Join us on that road, in whatever way you can! Yasemin has always been involved in women empowerment and whilst at university she set up development programmes and activity centres for migrant women. Later she helped to establish the ‘women’s professional schooling’ facilities in several cities in Holland and became the founder and director of a training centre in Amsterdam, aiming to reintegrate unemployed women in working life. Following her interest in international developments, she worked to develop projects in Central Europe. Subsequently she became a partner at KPMG Consulting, responsible for industrial global accounts, then decided to develop her own portfolio and investments. For the last ten years, she has been investing in businesses and returned to her main focus, diversity and female entrepreneurship. She is a founding partner at VERA Community, a crowdfunding and financial matching company for female entrepreneurs and a board member of Women Inc., the Dutch activist group with a female agenda. Annelies is the founder of Plantwijkc BV, an impact investing company in The Netherlands. She focuses on the hospitality and food sectors, and uses as a rough guide, the principles of Planet, People, Prosperity and Pleasure in selecting where to invest. 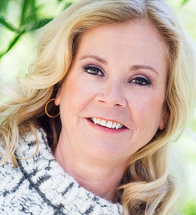 Besides running her own company, she is a board member of several businesses and foundations, including the Alexander Monro Foundation, part of the first breast cancer hospital in The Netherlands. Becky Roloff is the President and CEO of the YWCA of Minneapolis which annually impacts 29,000 people. Becky joined the YWCA after a corporate career, latterly as a member of the senior leadership team at American Express Financial Advisors. 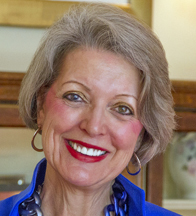 She is the current President of the International Women’s Forum Minnesota and serves on the boards of: C.H. Robinson Worldwide, Inc., Charles and Ellora Allis Foundation, Executive Committee of the Downtown Minneapolis Council as well as the YWCA of Minneapolis. Corinne Heijn's formal education was the foundation on which she built her career, but it is her life experiences and travels to distant lands that have made a profound impact on her business acumen. Her studies included a Law Degree from the University of Leiden, Harvard Graduate School of Business Administration and MIT Sloan School of Management, along with several other corporate and management training and coaching programmes. Corinne's corporate experience includes 4 years as a consultant designing and implementing financial information systems at Arthur Anderson Management Consultants in the early 1980s, and 9 years with KLM in senior management roles, including strategic development as part of the team who created the vision and strategy for KLM USA. Over the past 15 years Corinne has served as a director on several boards, mentored MBA students, and consulted and coached entrepreneurs in various industries. In 2005 she conceived, designed and executed a successful trade mission of Dutch women entrepreneurs to South Africa. She speaks on issues of economic and social reform wherever she travels. Yvonne Finch has long held the belief that when women are supported in a safe, nurturing environment they can sustain constant personal and business growth. This belief has determined the focus of her work in recent years. From a background of international corporate business when she was MD for a leading hair salon chain in South Africa and served on the Board of the American company, to running her own consultancy focusing on coaching, mentoring programmes and strategic business development, she has garnered a reputation for being able to create the right environment for people and business development. She is proud that her mentoring programme has received international recognition as a world benchmark for Effective Mentoring. Her work in the female development arena has been a passion and she is a founding member of the Businesswomen’s Association (BWA) in South Africa, and of the South African Women Entrepreneur’s Network (SAWEN). She served on the National Small Business Advisory Council to the Minister for Trade and Industry from 2006 to 2009 with the “women focus” portfolio. She chairs a number of Women’s Awards panels, and is a member of the Vital Voices’ Corporate Ambassadors Programme. Jill has a strong foundation in corporate communications and a broad range of international experience. Her skills include: marketing & communications, brand management, event management, product launches, and sales & operations management. Jill is hands-on and able to manage a wide spectrum of projects with proficiency and enthusiasm. She has worked for blue chip organisations which include: Newsweek, Philips, Interbrand, Financial Times, Nikon & Canon and her work has acknowledged through Sales Awards and Award winning Exhibition concepts. Jill has a passion for photography, and yoga brings balance to her working life and busy family of three boys and husband. Mariella is a finance professional with a wealth of experience in providing support to small and medium sized businesses. 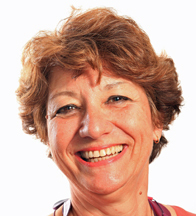 Mariella has a very personal and proactive approach and is able to explain financial overviews in understandable language, helping companies structure their book keeping and accounts with ease.